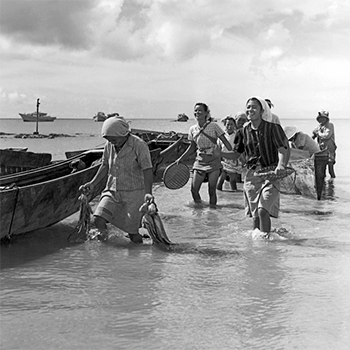 The Gail Project is a collaborative public history project that explores the founding years of the American military occupation of Okinawa, a Japanese island in the East China Sea, after World War II. Now in its fourth year at UC Santa Cruz, the project was inspired by a collection of photographs taken in 1952 by American Army Captain, Charles Eugene Gail. The collection was donated to the University Library’s Special Collections in 2013 by Gail’s daughter, Geri, a former UCSC staff member, who felt the best home for the images would be in an educational setting. The photos were taken during an era when the expansion of U.S. military bases on the war-ravaged island was just beginning to accelerate. They document a way of life that would soon disappear--a last glimpse before the presence of thousands of military personnel changed the face and culture of Okinawa. “1953 was the last year of the Korean War, and the American military was just realizing Okinawa would be a key location for American bases,” said UC Santa Cruz history professor Alan Christy, director of the Gail Project. Because all of the Gail negatives were lost, the library carefully scanned each photo to ensure the images would be properly preserved. 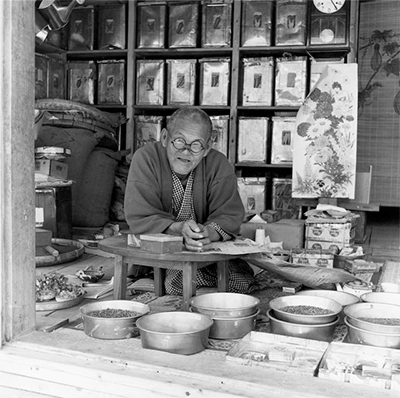 Fifty of these digital prints from the original 200 black and white photos will be on display at The Gail Project: An Okinawan-American Dialogue, a new exhibition running October 5 through December 2 at the Mary Porter Sesnon Gallery on the UC Santa Cruz campus. 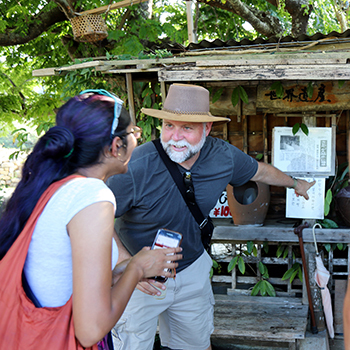 The exhibit includes an accompanying digital web archive made up of photos, documents, and oral histories from both American and Okinawan voices, plus student research and writing. 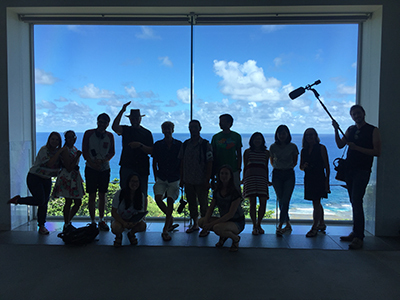 Six weeks ago, Christy took 11 students on a 16-day trip to Okinawa. The goal was to enable them to do research on a number of subjects in Okinawa history to provide context for the photos in the exhibition. Throughout the trip, the students also explored many of the original sites of Gail’s images and re-photographed them, reflecting the current landscape. These new prints will also be on display at the Sesnon exhibition. As curator of the exhibition, Sesnon Gallery director Shelby Graham accompanied Christy and his students, working closely with them on the trip. While the UC Santa Cruz research team was in Okinawa, there were heightened concerns about nuclear war on the peninsula--particularly about North Korea targeting Guam and Okinawa with missiles. 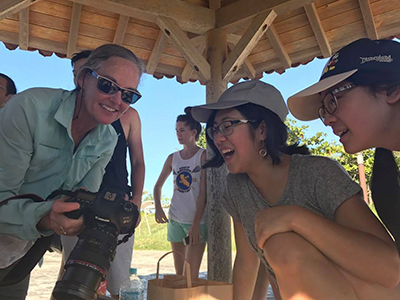 The Gail Project: "An Okinawan-American Dialogue" is co-sponsored by the UC Santa Cruz Arts Division and the Institute for Humanities Research (IHR) at UC Santa Cruz. The exhibition runs October 5 through December 2 at the Mary Porter Sesnon Gallery. An opening reception will take place on October 5, from 5 to 7 p.m., at the Porter College Koi Pond. Admission is free and open to the public. For more information, call (831) 459-3606.